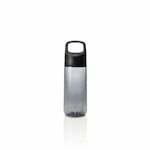 The KOR 2663 Vida Anthracite Water Bottle is the ideal, reusable 500 ml steel vessel for your portable drinking water needs. The KOR Vida Anthracite Water Bottle has an ergonomic handle and tapered profile that make it a joy to hold. The KOR Vida 500ml Water Bottle is a new design that combines the beauty and durability of steel, but improves the way that steel bottles feel in your hand. The Vida water bottle has exceeded KOR's standards for performance and style. 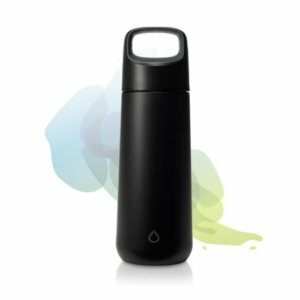 The KOR 2663 Vida Water Bottle has a smooth and thread-less spout that duplicates the KOR patented "Perfect Spout," and is a first for any steel bottle. Thoroughly wash your KOR Vida Water Bottle regularly per manufacturer instructions for proper sterilization.